Booking abandonment is a huge challenge for all online retailers and ticket vendors. Latest research highlights that 75% of visitors abandon websites without completing their booking. One of the UK’s top visitor attractions, THORPE PARK Resort experienced significant volumes of abandoning customers. THORPE PARK Resort approached SaleCycle with the goal of reducing booking abandonment and improving their online customer journey. One of the keys to curbing booking abandonment is the sending of timely, relevant and personal content to abandoning visitors. By introducing an SMS remarketing campaign, THORPE PARK Resort were able to deliver on all these fronts. The immediacy of their SMS remarketing campaign allowed customers to return and complete their booking whilst on the go, direct from their mobile phone. 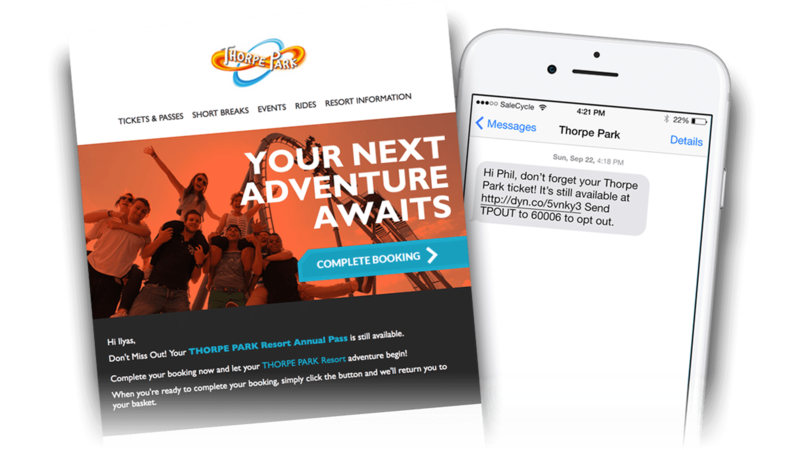 Delivered just 30 minutes after an abandonment, THORPE PARK Resort’s cart abandonment SMS messages contain a shortened hyperlink taking the customer back to their booking and making it as easy as possible for them to continue where they left off. With the latest figures showing that 90% of SMS messages are read within 3 minutes of being delivered, THORPE PARK Resort were confident the campaign would be a success. And they were right. With an impressive 32% of recipients clicking on the links to return to their booking and almost 7% of these going on to buy their tickets. The SMS campaign has proven to be important addition to an impressive cart recovery program, with the campaign delivering a 5% increase in THORPE PARK Resort’s online sales. A rollercoaster ride to success! 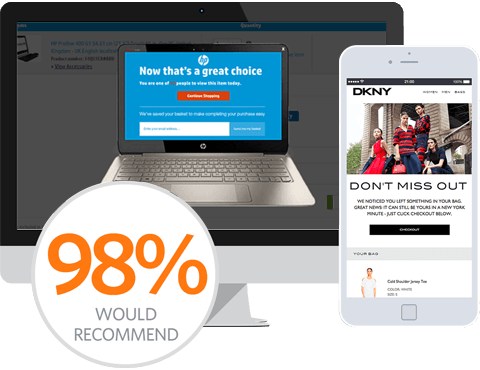 SMS remarketing has been a really effective addition to our email campaigns, giving our customers a route back to our site on the channel most convenient to them. The results have been outstanding and we’ve been really pleased with the response we’ve had from our customers. I’d recommend SMS to anyone looking for a boost to their cart abandonment campaign. Booking Abandonment Email	Bring abandoners back. Remind them what they left behind. Despite our best efforts, some people will abandon mid-way through a booking. We’ll help you target visitors who are about to leave and persuade them to stay. We can also reconnect you with those who have left and convince them to return and finish their booking. Respond to abandonment on the move. Over half of your abandoners were shopping on a mobile device. Use SMS remarketing to reconnect with these visitors on-the-go.